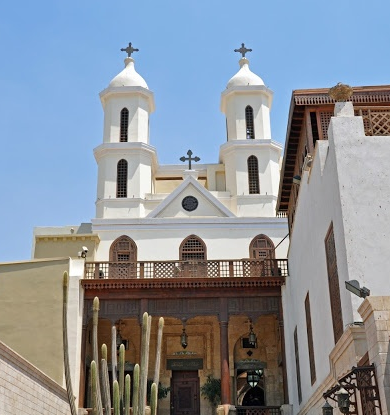 Saint Virgin Mary's Coptic Orthodox Church, also known as the Hanging Church, is one of the oldest churches in Egypt. The history of a church on this site dates to the third century AD. 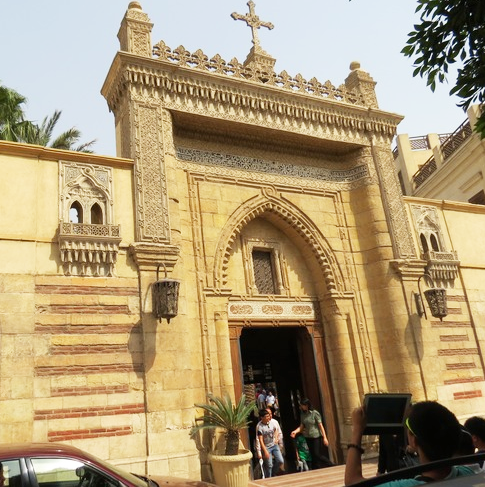 The Hanging Church is named for its location above the Babylon Fortress in Coptic Cairo. 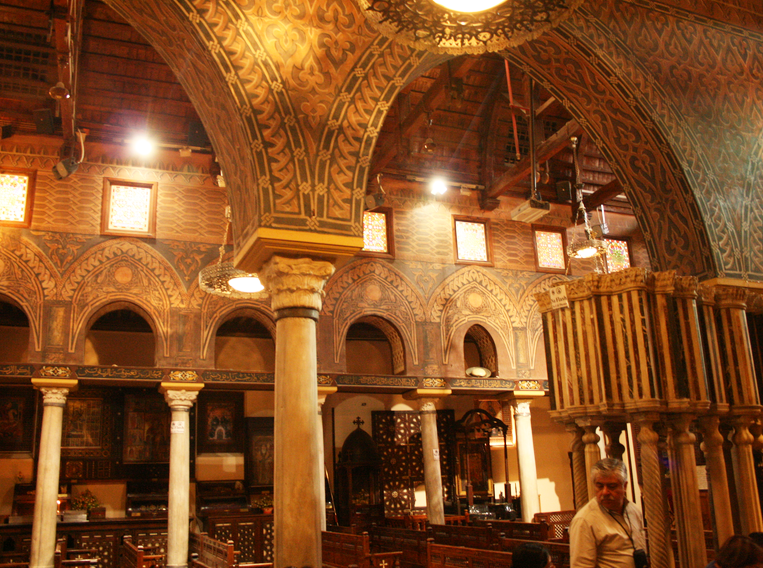 Its nave is suspended over a passage, with a foundation of palm tree logs and layers of stones. A total of 110 icons are kept in the Hanging Church. 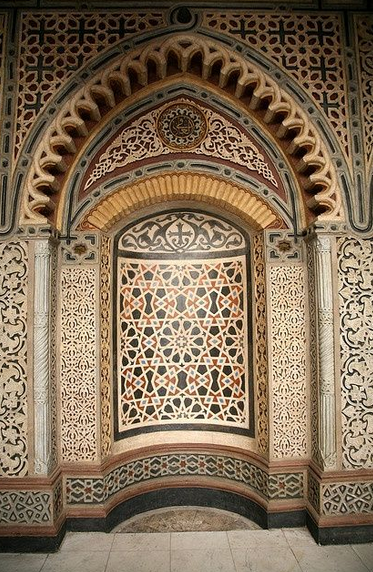 The oldest is the “Coptic Mona Lisa” dating back to the 8th century A.D. and representing the Virgin Mary, Jesus Christ and John the Baptist. 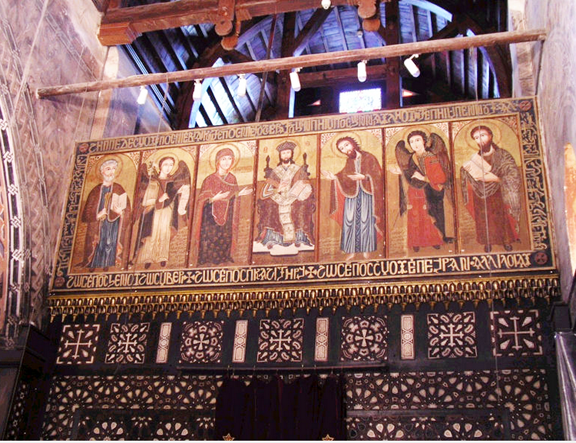 Over the altar screen lies a long row of seven large icons, the central one of which is Christ seated on the Throne. 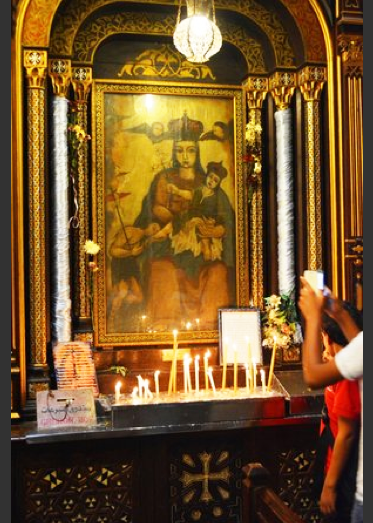 On one side are the icons of the Virgin Mary, Archangel Gabriel and St Peter; on the other, icons of St. John the Baptist, Archangel Michael and St. Paul.